As the years go on, even though medical science is purportedly improving, diabetes is becoming more and more of a problem. In the US alone, the figures are rising and that is without input from other countries such as Canada and India. In America alone, between 2010 and 2012, the figures rose by 3.3 million people; that equates to roughly one in eleven people with diabetes. This is a significant rise in a short time, and unfortunately one of the biggest contributes to such a hike in numbers is increasingly bad diets. Diabetes is the seventh biggest cause of death in the states, ranking it up there with heart disease and stress, but it is often underreported, meaning that the severity of it isn’t known until it is progressed and become unmanageable. Canada, a close neighbor of the States, saw its own rise in numbers. In 2011, the numbers rested at around 1.8 million people. By 2014, this number had increased to 2, 011, 347, giving it a rise of 2,180,00, roughly. That’s a lot more people that are being diagnosed across the whole of Canada, with studies showing that more and more males are being diagnosed. India has one of the highest rates of diabetes, with approximately 40 million people suffering from the illness. The number has increasingly continued to climb up as the years go on with very little done to manage the situation. Unlike the rest of the world, however, type 1 is the rare form of diabetes, and most of the people who suffer from type 2 are not classed as medically obese or overweight. Size, however, is not an indicator of health or of a healthy diet and there are some steps that can be taken to reduce your blood glucose levels, not only helping manage the illness but also prevents type 2 diabetes from striking. So, how can we improve our blood glucose​ levels without medication? Does any natural remedy exist that could do it? Below is the list of 15 ways to lower blood sugar levels if you have elevated or they can keep your numbers as recommended. Here are top 15 foods that lower blood sugar levels naturally. ‘An apple a day keeps the doctor away’ is a phrase you’ve probably heard before – maybe not as frequent as it once was, but it’s definitely still used in today’s media. It’s not unfounded, either. Apples are great foods to lower blood sugar levels. They’re classed as a low glycemic fruit. It means that they won’t have much effect on your blood sugar, but they’re great for managing spikes in your sugar level and reduce the effect it has, meaning you have less chance of having a diabetic episode. To get the most out of the apple, you need to eat it whole with the skin still intact. They’re easy to come by and require little work to eat, meaning it’s also the perfect snack if you’re on the go and need to make sure that you’ve eaten something to ensure you don’t suffer from complications. You can also bake the apple if you have a little more time on your hands to make it more appetizing. If you have diabetes, you might think that chocolate is a bold move, but in small quantities, it can actually be very good for you. Chocolate is a natural source of flavonoids – especially dark chocolate. Flavonoids have been shown to have a brilliant effect when it comes to reducing the resistance towards insulin in your body, meaning that your sugars can naturally be dealt with internally. It can also drop your insulin levels. Dark chocolate, compared to white or milk chocolate, has much better health benefits. There isn’t much that you need to do with it, either – just unwrap and enjoy. As always, though, be careful about the amount you ingest. While a small amount is good for you, overdoing it can actually have the opposite effect and can make your situation worse or higher your blood sugars. Sweet potatoes are a natural, easy to find food that can help your blood sugar levels to come down. Studies have proved sweet potatoes have the ability to reduce your blood sugar by 10 to 15 points. Not to mention that sweet potatoes contain another great nutrient for the body – anthocyanins. 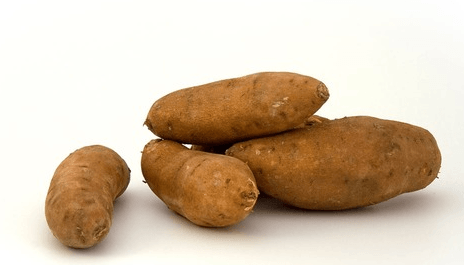 In the sweet potato, these give the vegetable its red and orange colors but in the human body, it can actually have anti-inflammatory qualities which can help relieve the symptoms of diabetes. There are many ways that you can prepare a sweet potato, but one of the best ways is to bake them. Try and avoid using too much oil and fat when you’re preparing them and remember not to over-do it – while they are healthy, too many of them can have a negative impact on your everyday diet. Many pieces of research have been done that show that broccoli can actually reverse some of the damage done by diabetes. This is because it contains a compound called sulforaphane. This particular compound works hard to protect blood vessels from damage. It also releases slowly, meaning that you don’t suffer a sudden change in blood sugar – one of the very things that can cause a diabetic episode. It’s not hard to prepare either. To keep it healthy, you can steam your vegetables for a healthy snack or you can even gently boil them – although make sure you don’t boil out all the nutrients, or you’re rendering it practically useless. One of the perks of avocado is that it slows down digestion and can keep blood sugars from spiking after you’ve eaten it. It can also help reduce the insulin resistance in the body, giving your body a better chance of breaking down your blood sugars and preventing issues with your health. You can use avocado in many different ways, all of them healthy for you – you can mash it up and substitute it as a spread on sandwiches for a healthier option or you can roast and grill them for a healthy, warm snack that will keep you full for the day. Eggs are a wonderful source of protein and can be slow burning, meaning that you don’t feel the effects instantly after eating. It’s great for keeping you full and ensuring that you’re not ingesting too much sugar quickly. You can prepare an egg in multiple ways – fry (with a tiny amount of cooking oil), scramble or even boil it for a healthy snack in the morning before you start your day. There aren’t many negative effects from eating eggs, they are a healthy food as long as they’re eaten in moderation, as with any other food. Carrots don’t only help you to see in the dark, they’re also a great source of beta-carotene, which can help lower the risk of diabetes. 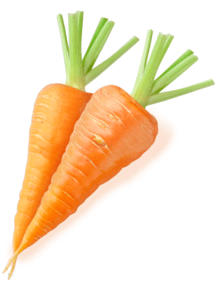 Carrots are known to quick to transform into blood sugar, so it might be dubious that they’re actually good for you, but they actually have very low sugar content and they can be enjoyed raw or even baked with a small amount of seasoning for a more fun snack. Nuts are another food that burn slow meaning that you don’t need much of them to feel full and satisfied – they make for a good snack midway through the day and they also help reduce blood sugar levels. They’re high in fat, but it’s the type that your body relies on in order to function properly. You can buy nuts ready to go, but roasted nuts are definitely the best – they taste nicer and you can even use nuts in other foods, such as soups, to help give you a boost and not have to worry about your blood sugar levels. Two studies, one in 2006, and the other in 2012, have shown that garlic may actually help reduce blood sugar levels. The presence of garlic in foods has actually shown to increase the amount of insulin produced in the body, including in people with diabetes, allowing them to break down and control blood sugar levels much easier. Adding garlic into food is easy – it goes with most meals and it’s also a good flavor enhancer. You can add it to most meals – either roasted or very lightly fried with a small amount of oil to do the best for your levels. Blueberries are known as a ‘super fruit’, and they live up to their name. While most fruits are high in sugars, blueberries can actually help improve insulin sensitivity, meaning that the blood sugar is more likely to be broken down much easier, which is essential in managing your levels and ensuring you don’t run into problems. Blueberries can be eaten as they come, making a handy snack that you can store away in your drawer if you’re working or even throw in your breakfast cereal in the morning for a quick boost and a positive step towards controlling your blood sugar levels. Too much fruit, however, can be bad – a handful is a good idea but more than that can put you over your daily limit for sugar intake, so make sure you’re careful with portions. Coffee is one that is slowly getting more recognition. Not only does it help you stay awake during the day, but studies are starting to show that coffee can actually help improve blood sugar levels and reduce the risks of diabetes. 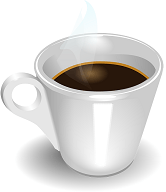 As always, too much coffee can be bad for you as it’s a stimulant and a diuretic, making it hard for your body to retain water, so make sure you limit yourself to a few cups a day. The best way to have it is without milk and sugar. Oatmeal is a great food for any time of the day – it can leave you feeling full, meaning that you’re less likely to snack. It’s also a great way to control your blood sugar levels. When you add water, you turn the mixture into a paste that acts just the same in your body. The ‘paste’ covers the starch molecules, it means that your body and the enzymes within it that are designed to digest food, have a much harder time of meeting. It gives a slow burn that reduces the risk of a sudden spike in blood sugar levels. 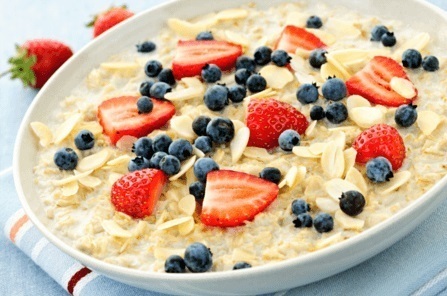 You can eat oatmeal at any part of the day – although it’s a very good breakfast food. It doesn’t take long to make, either in a pan or a microwave oven. Add a little water and you can even throw in some additional fruits such as blueberries or strawberries to give it a real healthy kick. Spinach is high in fiber, but it is low in carbohydrate. It doesn’t raise blood sugars after eating and is a refreshing snack. It can be cooked into other meals, or even boiled and eaten alone for a quick snack without too much effort and preparation time. There are no real side effects from this either, leaving you free without worry about ingesting too much of it or going over your daily limit. Strawberries seem unlikely because of how sweet they are – but the sugar that is in them is good. They can help make you feel full, reducing the risk of you snacking through the day and raising your levels. They also don’t raise your levels that much, either, meaning that you can enjoy them without worrying. As with all other fruits, these can be enjoyed without any real preparation and make a perfect snack. A quick wash and they’re ready to go. You can also enjoy them on cereals, as a snack, or as part of a fruit salad. Meats are a great food – especially chicken, or fish such as salmon. They can be eaten as part of a full meal in the evening or thrown into salads as a snack. 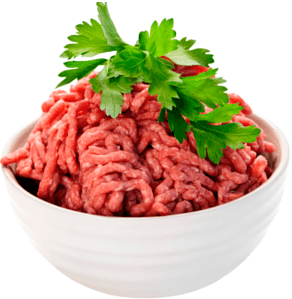 Meat contains a mineral named chromium that helps insulin do its job and function properly within the body, meaning that blood sugars are more likely to be broken down correctly and easily in the body. You can grill or bake the meat for a nice, flavorsome meal and throw in a few green veg to really boost the health benefits that you can get. On top of eating healthy, it’s important to ensure that you’re remaining active to really give your body the best chance of fighting off diseases and working to the best of its ability. Did you know the amazing benefits of these foods to lower your blood glucose levels? Please leave your comment below.